The New York State Department of Health (Department) announces the availability of funding to implement the Commodity Supplemental Food Program (CSFP). CSFP works to improve the health of low-income residents 60 years of age and older by supplementing their diets with nutritious foods provided by the United States Department of Agriculture (USDA). The Department is seeking applications from agencies to determine eligibility of applicants, manage participant caseload, receive and store USDA commodities, distribute supplemental foods, and provide nutrition education and health care referrals to eligible participants. The Commodity Supplemental Food Program (CSFP) is the only USDA nutrition program that provides monthly food assistance specifically targeting low-income adults 60 years of age and older. The program is designed to meet the unique nutritional needs of participants by supplementing diets with a monthly package of healthy, nutritious USDA commodities. CSFP aims to prevent vulnerable older adults at high risk for food insecurity and nutrition-related diseases from having to choose between spending their limited resources on food versus other basic needs. Optional Full Warehouse Operations Component The Department will award up to three (3) contracts to implement core CSFP activities as described above. One of the funded organizations may also be awarded up to an additional $700,000 annually to provide warehouse services for all CSFP donated commodities. These services include receiving, storing and delivering $5.8 million (approximately 10 million pounds) annually in federally donated commodities throughout the year. Applicants are not required to apply for this additional funding. Note: The warehouse component section of the RFA will be scored separately from the local agency application. It will not be scored with the core RFA components, but this information will be evaluated to determine if full warehouse operations funding will be awarded. The Department reserves the right to award funds based on this optional information from applicants at its discretion. To receive the award, the applicant must be selected for an award to provide core CSFP services, and be the top scoring organization of the warehouse component. To manage full warehouse operations, the Applicant must be able to receive and store on average thirty (30) or more full truckloads (20 pallets per truck) of commodities shipped monthly directly from the USDA. Total warehouse space dedicated to CSFP storage must accommodate up to 2.5 months of commodity inventory based on the anticipated state assigned caseload of 32,945. The warehouse must be able to dedicate sufficient space to store approximately 1,400 pallets (100,000 cases) of product at any time. This equates to approximately 29,000 square feet of storage space including 2,064 square feet of refrigerator space to store approximately 8,300 cases of cheese. 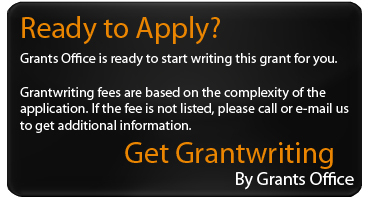 Prequalified in the Grants Gateway, if not exempt. Letters of Intent were to be submitted by November 1, 2018. Applications were to be submitted by January 10, 2019. Similar deadlines are anticipated, annually. Meet specific annual caseload service requirements, maintain all required documentation and provide required reports to the Department. Transport and distribute food commodities to up to five (5) CSFP permanent locations in New York City and/or Long Island.